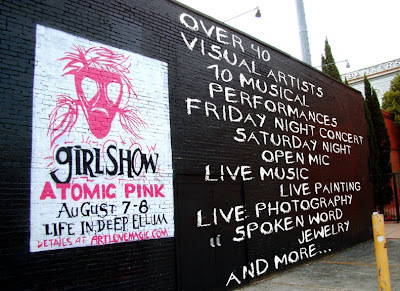 August 6-7 will be Art Love Magic's "Girl Show" at Life in Deep Ellum. The interesting thing about "The Girl Show" is that it is all female artists. The interesting thing about Art Love Magic is their ability to bring people together and make something magical amazing happen through the power of art. This Friday night is a preview for Girl Show at the Mokah Art Gallery (part of Life in Deep Ellum). 2803 Taylor St, Dallas, TX 75226 (214) 651-0633. This isn't the same as the event, but if you are interested in seeing what you connect with before the actual show (or if you are booked next weekend when the Girl Show takes place), it is a great time to check things out.